A small set of 6 mini coloured pre-sharpened pencils in cardboard tuck box. 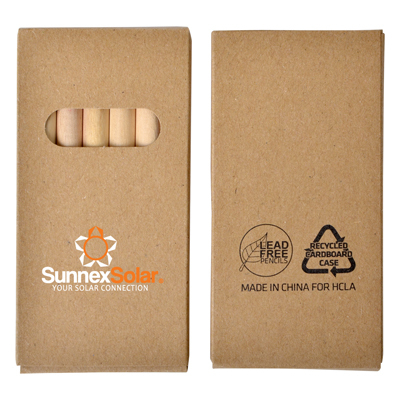 Pencils are lead free and cardboard box is made from recycled materials. Pencil colours included are Red, Brown, Yellow, Blue, Green and Black. 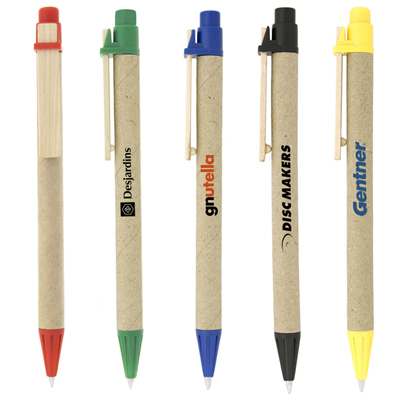 A click action ballpoint pen made of recycled paper and features a wooden clip. The barrel is made of environmentally friendly biodegradable paper. Cylinder shaped paper tube with plastic lid. Features 12 coloured pencils with sharpener. Compact and easy to carry. 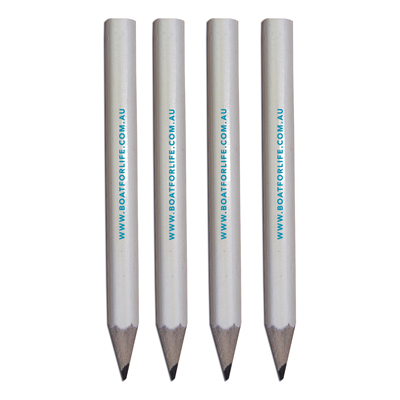 White grey lead sharpened pencil, great for Magnetic to do lists. 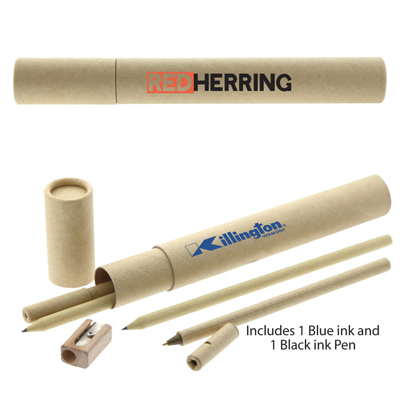 Cylinder shaped paper tube with (2) Pens: Black & Blue ink, (2) Pencils and (1) pencil sharpener. 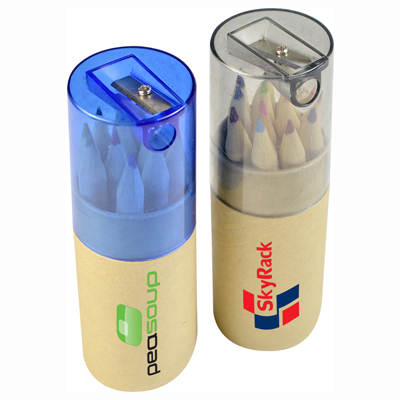 The paper tube is compact and easy to carry.